Editor’s Note: Shayla joined us on #BizHeroes on November 24th, 2015 to talk about User Generated Content. Join us for the next #bizheroes, an action-packed Twitter Chat for small business owners and marketers led by the community, for the community. Social commerce represents one of the most executed marketing strategies for companies. However, some brands fail to meet their customers’ high expectations. The onslaught of banner ads and pop-ups has created shoppers who are not impressed with traditional marketing tactics. Rather, consumers focus more on product quality and pricing options. In today’s eCommerce world, marketing campaigns must transition from simply grabbing customers’ attention to building a sense of community around the social commerce experience. Social media can help build that awareness, nurture leads, and ultimately guide consumers to make an initial purchase. With user-generated content, brands can produce consumer-inspired campaigns, making shoppers feel like family, instead of patrons. Don’t reinvent the wheel. Embrace customer content marketing. Over the last decade, brands have changed how they market to online consumers. From establishing an online presence to building better customer support, businesses quickly learned to value the customer’s experience. Social media pushed companies to step up their engagement. Now, brands churn out content and automate interaction. But the future is here. The next step of eCommerce marketing involves the collision of content and commerce. The proof is in the data. By simply sharing UGC, stores’ Facebook followers increased by 270% and their Twitter followers increased by 150%. 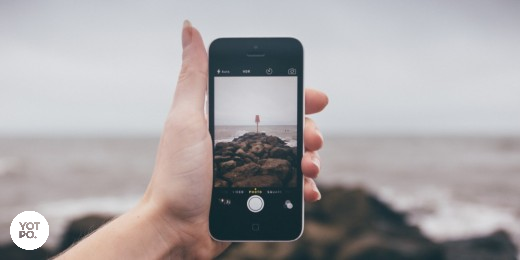 Adding UGC to dedicated marketing campaigns brings a different perspective to the table. Strive to use the content created by your consumers to spark more discussions on social media. Social media is arguably the most valuable tool to get eCommerce traffic. Mostly known for building brand awareness, it can also earn your business direct conversions. Social referrals drive sales. According to a Shopify study, the average conversion rate for Facebook is 1.85%, the average conversion rate for Twitter is 0.77%, and the average rate for LinkedIn is 0.47%. 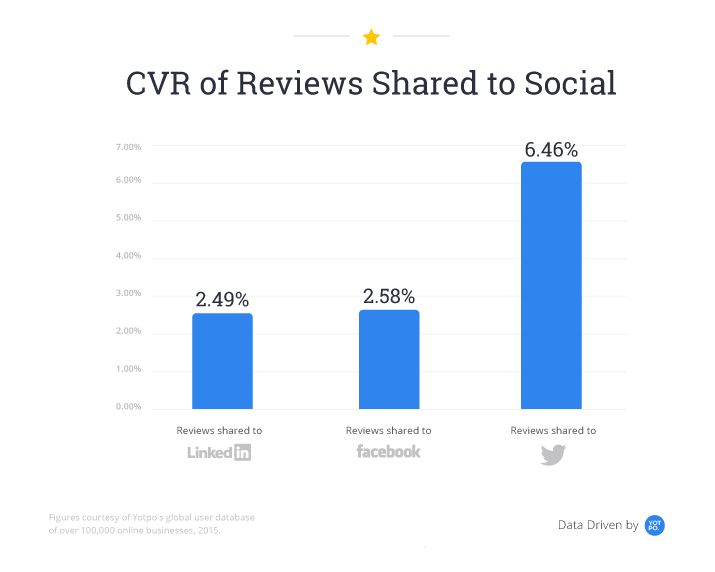 Yotpo Data found that from reviews shared to social, the conversion rate is an average of 40% higher for Facebook, 8.4 times higher for Twitter, and 5.3 times higher for LinkedIn. As the data shows, reviews are a powerful type of social proof that leads to higher conversion rates. The reality is that customers trust other customers. Stuck on how to actually use customer content? Below are a few ideas to help your company prepare for the future of eCommerce marketing. Social media is not disappearing anytime soon. So, take advantage of the direct access to your shoppers. Platforms like Twitter and Instagram can help build social proof for your brand and drive more targeted traffic to your website. Creating collections of your UGC around different themes or products can help advertise relevant specials or holidays. 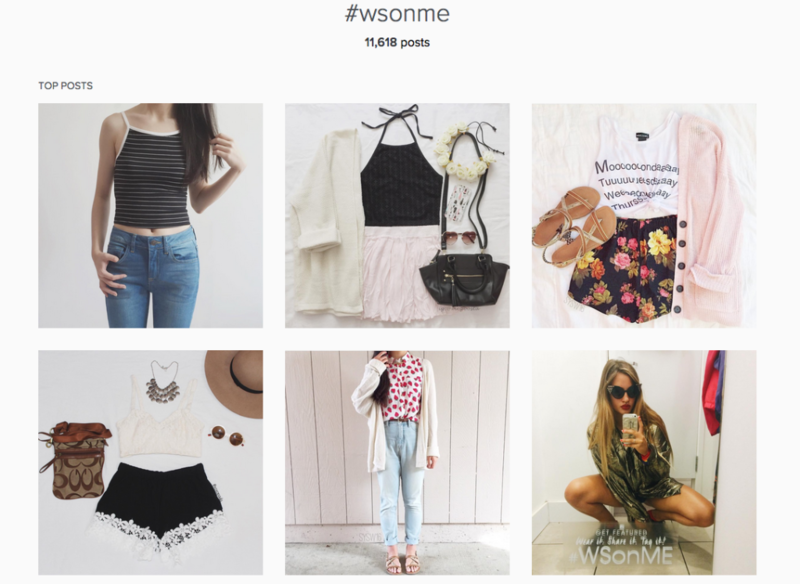 Here’s an example of how teen retailer Wet Seal uses the hashtag #WSonMe to collect content. Shopping is a social experience that includes hanging out with family and friends. To mimic the offline experience of socializing with your buddies at the mall, companies replicate these moments with online chat and forum features. 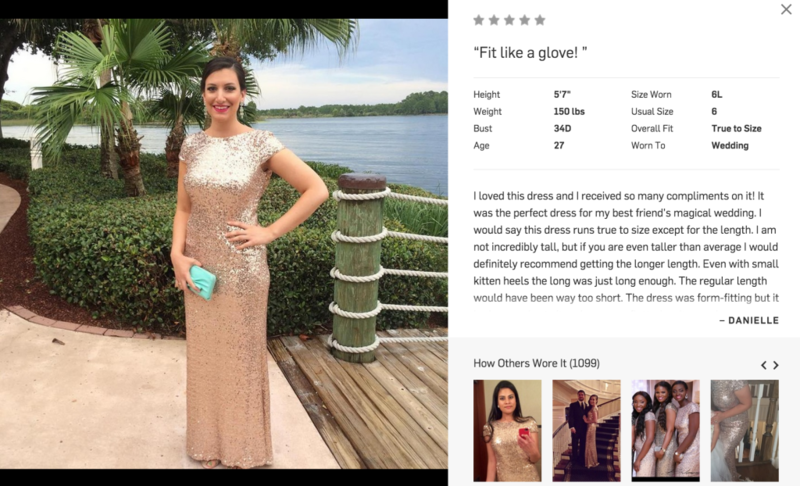 One example is how fashion company Rent the Runway lets customers share photos and submit reviews. Shoppers learn directly from buyers how the clothes actually fit. This makes it easier for shoppers to choose the right outfits. Plus, consumers feel like a trusted friend is helping them. Doritos asked fans to submit commercials for its Crash the Super Bowl campaign. In exchange, participants could win a chance to be the official Doritos commercial for the Super Bowl. They sweetened the deal with $1,000,000 and a job at Universal Studios. Not only did the Frito-Lay brand gain UGC, but also a decrease in costs for its Super Bowl advertising. Doritos received a multitude of brand ambassadors, too. Contests draw in the public’s attention. Further, consumer participation makes people feel a part of the brand. Customers don’t want products. They desire social experiences. Therefore, marketers should strive to convince customers not to purchase a product, but to become brand advocates. Integrate customer content into your marketing strategy to attract loyal consumers. Social commerce is changing. Let UGC take your brand to the next level.